Doctors, do not look at the camera like it’s a patient needing help through death’s door. Such a pose will speak ill of you, and it won’t do much for your practice, either. While posing for a photograph spinsters should avoid looking desperate or deprived. A serene smile will show that your circumstances are by choice and not for lack of beauty or character. The way to a man’s heart is through his stomach. For this reason a woman wishing to look appropriately domesticated for her Mail-Order Bride photograph should wear an apron and wield a kitchen utensil (preferably not a rolling pin). So that’s what I did. I now have more nearly 25 novels to my credit, including bestselling and RITA finalist A Lady Like Sarah—not bad for someone who flunked 8th grade English. Just don’t ask me to diagram a sentence. Can you tell us a little bit about the books you write? First of all, I want to thank you for inviting me here today. Currently I’m writing inspirational historicals for Thomas Nelson. My Rocky Creek series takes place in Texas in 1880s. A Lady Like Sarah was about a preacher and a lady outlaw. A Suitor for Jenny is about a woman who tries to find husbands for her two sisters and goes about it in a most unusual way. 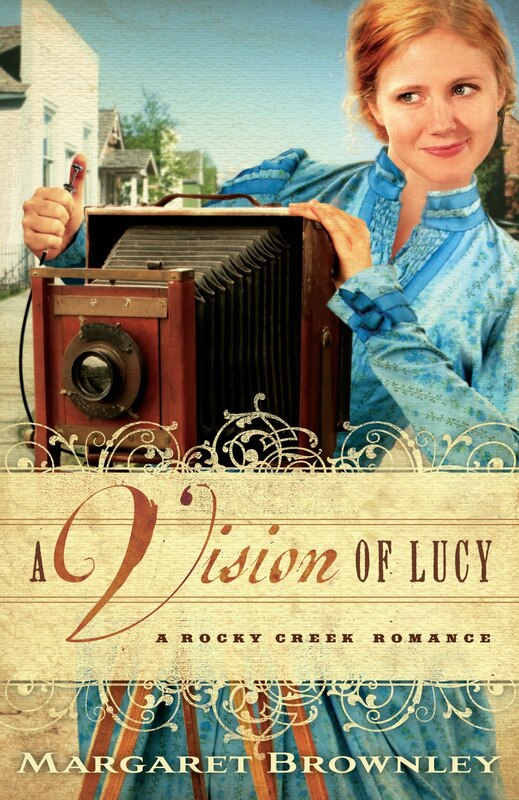 A Vision of Lucy (which is available for preorder) is about a lady photographer who finds nothing but trouble as she tries to uncover the secrets of the past. I write serious themes with a touch of humor and, of course, all my books have happy endings. Out of the books you have written, do you have a favorite? My favorite is always the one I’m working on. Once the book is written I generally tend to forget it. The one character I couldn’t forget is Sarah in A Lady Like Sarah. She has a distinctive voice that kept waking me up in the middle of the night. I didn’t always write inspirational novels but I love what I’m doing now. Everything that happens to us changes our faith in some ways, sometimes for the better, but not always. The same is true of our characters. I love writing about characters struggling with faith because I think that speaks to our own private struggles. None of us have all the answers, and neither do the characters I write about. What makes a love story interesting to you? Chemistry. There has to be that special spark between a couple—that indefinable something that rises from the printed page and draws me into the story. I love reading (and writing) about how two people are able to overcome impossible odds to be together. The thing I love most about writing romance novels is that every theme and human emotion can be written through the eyes of two people falling in love. You don’t need casts of thousands. What has been one of the most rewarding experiences you've had as a writer? Another time I was asked to sign a book for the Make a Wish Foundation. A teen asked for an autographed copy of my book. I couldn’t believe it. All the things she could have wished for…That made me cry. What are some of things that have happened over the years that have surprised you? The fact that I’m a writer with 25 published books surprises me (but probably not as much as it surprised the 8th grade English teacher who flunked me). I’m surprised that my life has been so very blessed and that my dear husband still puts up with me after all these years. What are your favorite books? Can you recommend a new and upcoming author to us? I’m about to meet my author friends at the RT Booklovers Convention in Los Angeles so stating favorites could get me in trouble. I will say this, the writers that most inspired and influenced me when I first started to write were Maggie Osborne and Lyverle Spencer. It was a sad day when those two ladies retired. 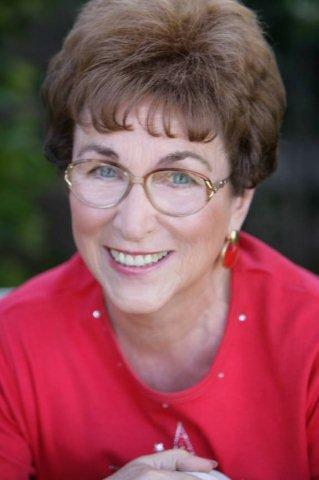 Today my writer role model is Debbie Macomber, whose faith shines through everything she does. She’s also one of the nicest people I know. Give me chocolate, raspberries and nuts and I can handle any crisis. Also, I’ll be at the RT Booklover’s Convention in Los Angeles April 6-10, signing books and giving away lots of goodies. I’m also hosting the RT Blood drive during the Convention on Friday. Trouble may follow Lucy wherever she goes, but with the help of God and the rugged, reclusive David Wolf, she’ll never face adversity alone. When Lucy meets David Wolf—a quiet, rustic man who lives on the outskirts of town—she thinks she can catch the attention of the town with his photograph. She doesn’t count on her feelings stirring whenever she’s near him. Two things happen next that forever change the course of Lucy’s life: David says the words Lucy has longed to hear since her mother died: that she is a compassionate, creative young woman that God made in His image. And in return Lucy helps David change his perspective on an event that wounded him long ago. God’s arms are around this unlikely couple as they leave behind long-held assumptions and discover the true freedom of forgiveness.